Our Online Defensive Driving Course is accepted and approved by all courts across the great state of Texas and by the Texas Department of Licensing and Regulation for ticket dismissal. 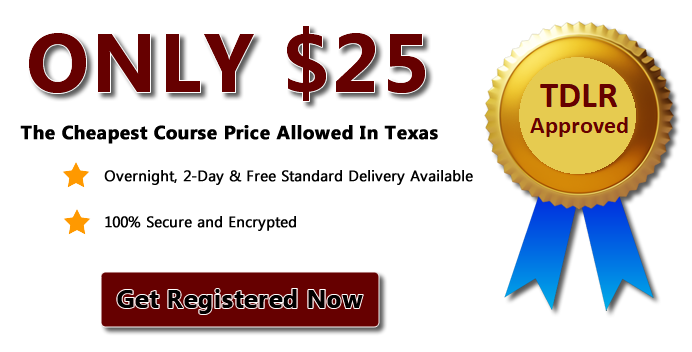 We are an Approved Online Texas Defensive Driving Course. Unlike other defensive driving programs our course is completely narrated at no extra cost to you. No need to read pages and pages of text. Just sit back and listen. 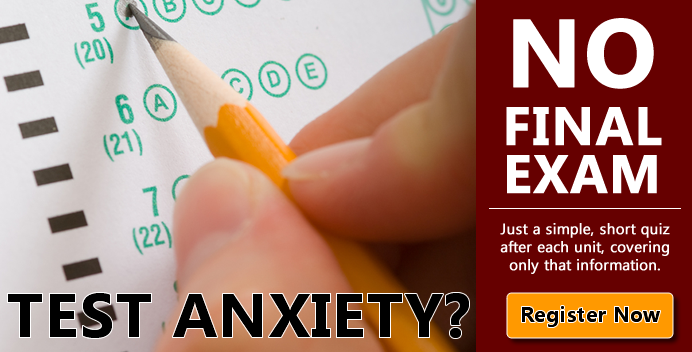 $25 – Our Course is offered to you at the State minimum price. 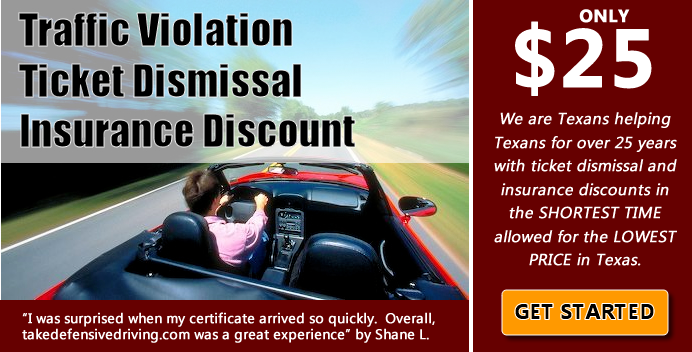 This means you cannot find a better Online Defensive Driving deal in Texas. For Traffic violations, Ticket Dismissal, and Insurance Discounts of up to 10% for up to 2 years!! For over 20 years we have been Teaching Texas Drivers to be Safer Drivers. takedefensivedrivingonline.com prints and mails your certificate the same day you complete the course, using standard US mail at no charge to you. If you need your certificate sooner, 2-day or Overnight delivery is available starting at $25. NEW to takedefensivedrivingonline.com. In addition to printing and mailing your certificate, we now offer the option to have your certificate EMAILED to you once the course is completed. Our Texas Online Defensive Driving Course allows you the flexibility you are looking for. You can take our Driver Safety Course at your own pace in a single or multiple sitting. Additionally, you can choose to have our online drivers education class fully narrated, no need to read pages and pages of text. MOBILE READY, not near a computer? Then use your iPhone or iPad to view your course. 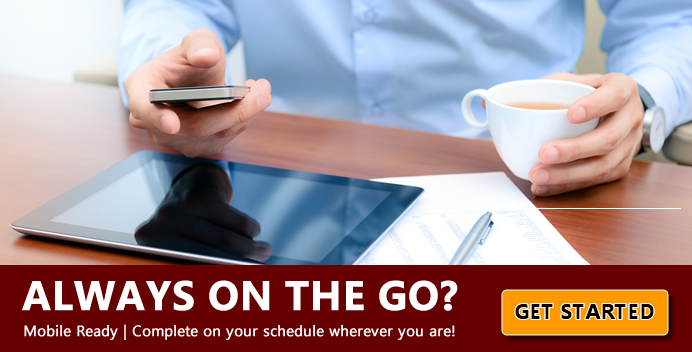 No classroom or scheduling, log in and out from anywhere you have internet access. If you have any questions about our Texas Online Defensive Driving Program feel free to contact our customer support staff.